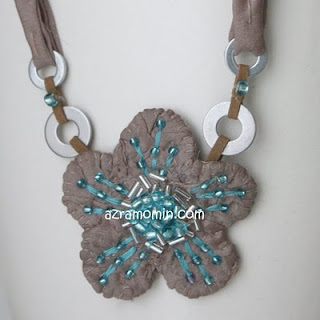 A sakura motif, with the colors turned all upside-down, makes a cute piece of fabric jewelry! 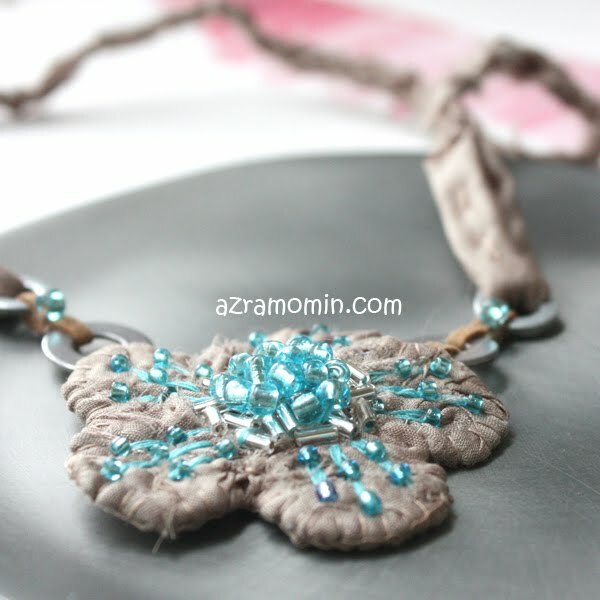 The brown is a beautiful soft mushroom with blue undertones, so I used pale teal with it. Looks really delicious, but very subdued. The round 'findings' are humble little aluminum washers from DaddyBoy's toolbox. Love how they match perfectly with this piece. 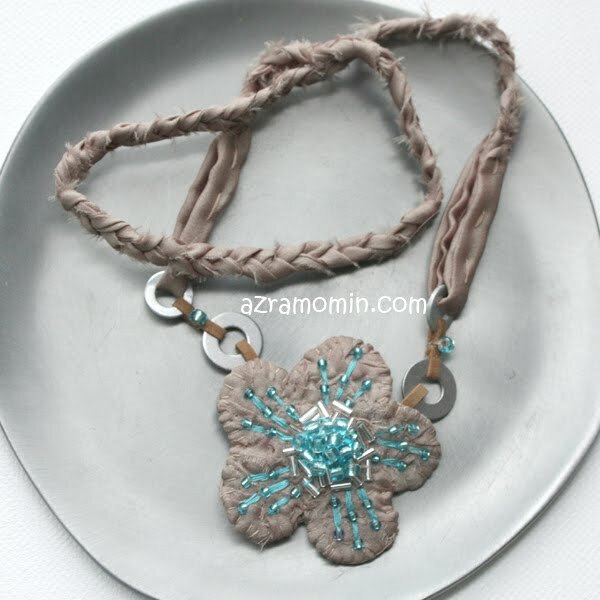 So there you have it - another slip-on fabric necklace with a braided cord. Sits just a few inches under the collarbone. Welcome Spring with a cherry blossom! That is really beautiful! I love big flower necklaces. Is this going in your Etsy shop? Thanks, Kristi! Yes, it's going in the shop, as soon as I can find my ruler to take exact measurements! Hunting, hunting! Aww, Woody - thank you! I do my share of lazing around, trust me!